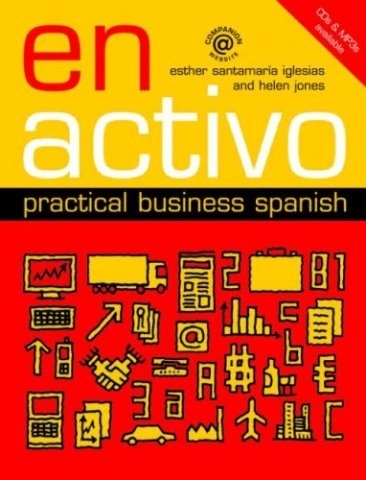 En Activo is a contemporary course which provides students with a structured development of written and spoken business language skills, focusing on real business people and situations from all over the Spanish-speaking world. The book consists of twenty chapters that incorporate contextual information on the business environment of Spain and Latin America, role-plays, illustrative dialogues, dedicated written exercises, relevant grammar instruction, practical communicative exercises, up-to-date practical advice, model items of written and spoken business protocol, and links to numerous carefully-selected and integrated websites. and, 'Sabe navegar' - practices web research and web etiquette.Each fifth chapter is a revision chapter, which puts the acquired knowledge in practice via discussion groups, presentations and debates. The supporting website features additional web and learning resources and exercises. The audio containing all interviews and listening comprehension exercises is freely downloadable from the site. At the end of this course the student will have a sound knowledge of the Spanish speaking business world and the language skills required to put this knowledge in practice.